A cylindrical outer covering of sheet steel (case) or an elastomer that has the requisite interference fit to seal statically against the housing bore. A sealing lip made of an elastomeric or thermoplastic material that seals dynamically and statically against the shaft. The lip has a sealing edge that is formed by moulding, cutting or grinding. It is normally pressed against the counterface surface of the shaft, with a defined radial load, by a garter spring. The edge of the sealing lip and the shaft counterface surface form the most important functional area of a radial shaft seal. The sealing effect of the lip can be enhanced by designing the contact area of the lip with hydrodynamic features. fig 1Some radial shaft seal designs have an auxiliary lip that protects the primary sealing lip from dust and other contaminants. A suitable lubricant in the space between the primary sealing lip and the auxiliary lip can reduce wear and delay corrosion. Contaminants that have passed the auxiliary lip will eventually cause damage in the counterface surface area. A build-up of heat can also occur between the two lips, resulting in premature wear. Radial shaft seals are used in a multitude of applications. 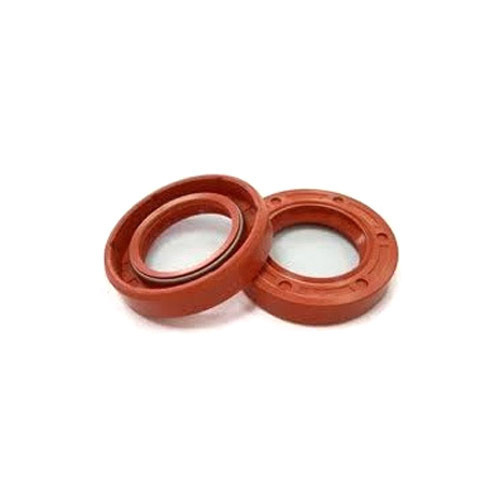 Because of the importance of radial shaft seals for the operational reliability and service life of machines and equipment, both seal manufacturers and users are equally interested, to some degree, in standardization. This has led to the establishment of national and international standards and guidelines listed in the table. These cover boundary dimensions, tolerances, material specifications, test methods and terminology as well as the basic outside diameter constructions and sealing lip arrangements. With huge technical knowledge and industrial experience, we are providing wide assortments of Rotary Shaft Seal. This seal is manufactured using high-grade raw material and contemporary technology in compliance with industrial standards. The seal offered by us is thoroughly examined by our experienced professionals to ensure its durability, reliability and long service life. This seal is widely used in various industries and available in different dimensions and sizes as per client’s specific demand. Looking for “ROTARY SHAFT SEAL”?